Here at Horse Tack Now we investigate which Futurity Show Snaffle Bits with Concho are the best before adding them to our Online Horse Tack Store. We strive to offer only top quality horse tack products at very compettive prices. This happens to be one of our most luxurious horse snaffle bits we have to offer. This product has been design for Horse Shows and has beeen engineered to last for many years. This Futurity Show Snaffle Bit with Concho measures 2 1/2'' rings and 10mm mouth. This is a beautiful joint futurity snaffle with silver conchos. 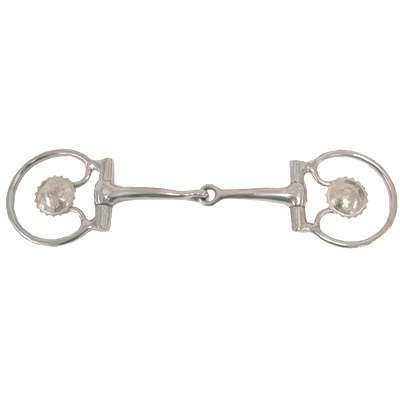 This snaffle bit also creates snapping action with rings and mouthpiece. At Horse Tack Now, only the best horse bits are offered at discount prices.